Beautiful villa in Puerto Lumbreras, in the region of Murcia. Magnificent three bedroom villa and two bathrooms for sale in Puerto Lumbreras, Murcia. The property is built to a high standard with high quality materials and impressive décor. The property has a large living room with fireplace, fully fitted and equipped kitchen, spacious bedrooms and two full bathrooms. The master bedroom, with bathroom en suite. The plot of approximately 5500 meters, is completely fenced, with automatic gate. 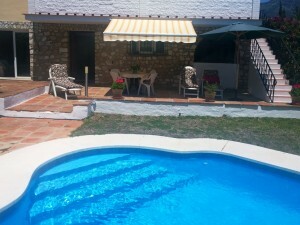 It has a large pool of 12x5, a barbecue area, a toilet for the pool, several terraces to sit and enjoy the sunny days. 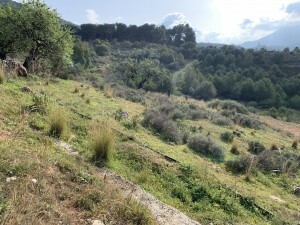 In addition the farm has olive trees and some fruit trees. It is located in a residential area between Puerto Lumbreras and Lorca, ten minutes from the Almenara shopping center and all the necessary services. The beaches of Aguilas are approximately 20 minutes away and San Juan de los Terreros beaches are approximately 30 minutes away.